Doctor Joseph Licitra, lead chiropractic specialist of his own practice in Clifton, New Jersey, discusses common misconceptions people have about adjustments and why such beliefs are misguided. 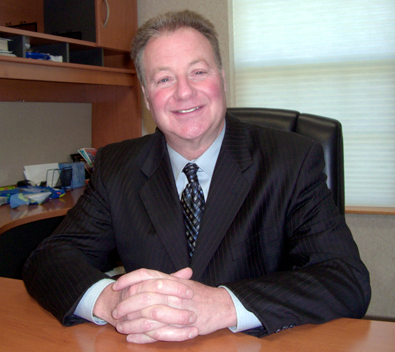 He has treated hundreds of patients in over 35 years of practice and has helped many of them recover from auto accident injuries, sports injuries and conditions such as spinal disc herniation, pinched nerves, and scoliosis. Those interested in learning more about the benefits of chiropractic care can visit: http://www.nbc12.com/story/35553588/chiropractic-specialist-in-clifton-nj-discusses-the-value-of-spinal-adjustments. Despite the growing popularity of chiropractic treatment as an alternative to traditional medicine, many people are still wary of the profession and the benefits chiropractors have to offer. One common misconception that the profession faces today is the belief that these spinal manipulations “hurt”. Dr. Licitra stresses that this belief simply is not true and that such an occurrence is rare. Established in 1981, Dr. Licitra’s practice is the highest rated chiropractic office with the most Google reviews in Clifton, NJ and continues to offer free consultations to new patients seeking solutions to address their various needs. His practice offers flexible pricing plans, as well as various insurance coverage plans like BCBS (Blue Cross Blue Shield), United Healthcare, Aetna and others. Dr. Licitra is determined to use his knowledge to heal every patient that walks through his doors and has been trained in kinesiology, Sacro-Occipital Technique (SOT), and Manipulation Under Anesthesia (MUA).